Myeloid cells are a type of white blood cell that kills invaders like bacteria and cancer. 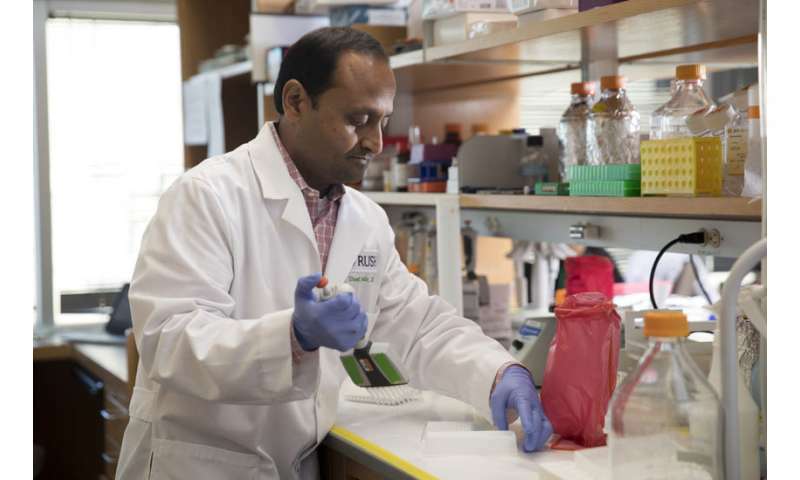 “In the cancer context, myeloid cells promote tumor growth and suppress the activity of T cells,” says Vineet Gupta, Ph.D., professor and vice chairperson for research and innovation in the Department of Internal Medicine at Rush Medical College. Gupta and Judith Varner, Ph.D., of the Moores Cancer Center at the University of California at San Diego (UCSD) in California, were co-senior corresponding authors on the study. Samia Khan, Ph.D., a post-doctoral fellow in Gupta’s lab; and Michael Schmid, Ph.D., and Megan Kaneda, Ph.D., with UCSD, were co-first authors.